The first efforts to raise funds and items for the unprecedented tragedy in Guatemala began on Monday night, May 4th by members of the female football team, the ‘Island Warriors.’ A clothes and dollar drive was held outside of the Honourable Sylvestre Sporting Complex on Angel Coral Street where three truckloads of clothes along with the canned food was collected. The group also collected over $1,000 that night from the dollar drive. The following day they returned to the same location where from 7AM until after 1PM they once again held another clothes and dollar drive. They were able to collect more clothing and their monetary donations reached $5000. Aylin Funez, one of the organizers, thanks everyone who came out to support, and says the group is making all preparations to deliver all help to the officials of the Guatemalan Embassy in Belize. On Wednesday, June 6th the Lions Den opened its doors early to host a clothing and canned food drive, while Reef Radio/TV held radio thon. On the main streets of town, a dollar drive was in full effect, collecting any monetary assistance they could from passers-by. As the first calls started to come through at the Radio-thon, volunteers at the Den were busy receiving huge bags full of clothes coming from all corners of the island. 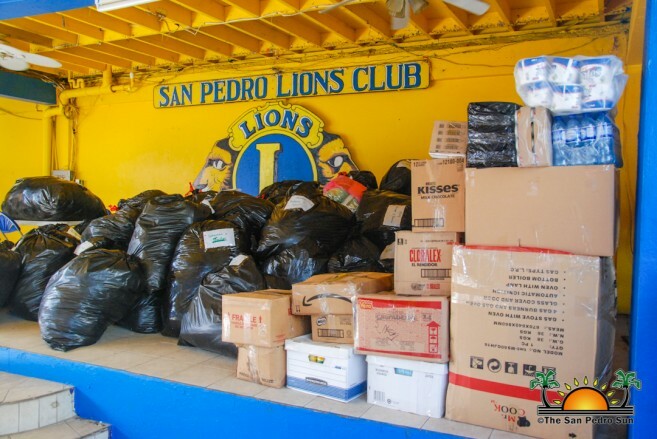 According to Lion Marina Kay, many persons and groups sent donations. “We received several warm bed clothes from the hotels, and lots of clothing for all ages and genders,” said Kay. 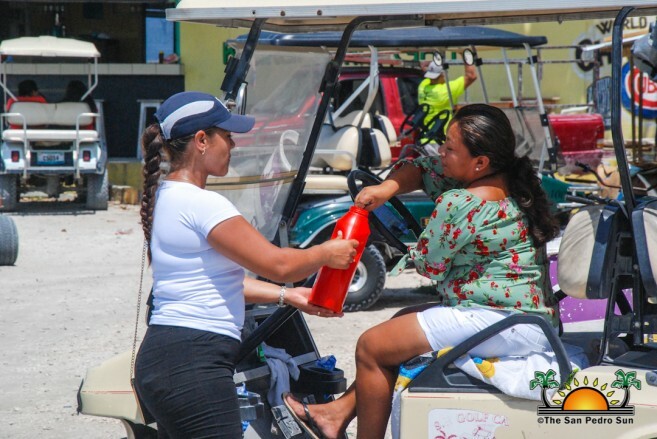 She is happy with the response from the community, which she says once again shows the unity of Ambergris Caye residents. At the end of the day, before the truckloads of clothes were sent to storage areas, they were sorted out by gender for easy distribution. A large amount of canned food was also collected throughout the day. On Thursday, June 7th, a contingency from San Pedro Town departed for Belize City to deliver the items to the Guatemalan Embassy. The solidarity and encouragement to help has been pushed from the governmental agencies like the National Emergency Management Organization (NEMO), who remains available for offerings of donation for the volcano victims. 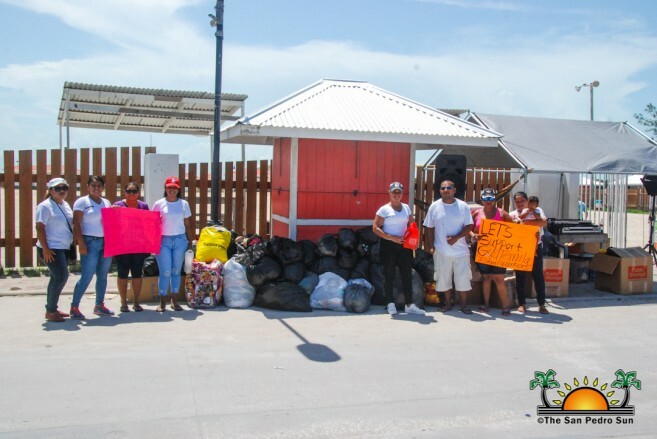 NEMO reminded Belizeans that in the past, the people and Government of Guatemala has assisted Belize in times of natural disasters and that any aid should be given in the spirit of humanitarianism. The Leader of the Opposition from the People’s United Party, Honourable John Briceño, also made a call on Belizeans and the Government of Belize to assist in any possible way. “At a time like this, we must put our differences aside and let our humanity rule,” he said. “On Sunday, it was Guatemala. Today or tomorrow it can be us or any other country that is susceptible to natural disasters.” Briceño also called on all nations to pray for those who have lost loved ones and to provide assistance where necessary. On Thursday, June 7th, Belize Telemedia Ltd pledged to donate 50% of their double-up top up sales from Friday, June 8th. They encouraged all Digicell subscribers to top up their phones with minutes in order to collectively assist the volcano victims, who need every little help they can receive. 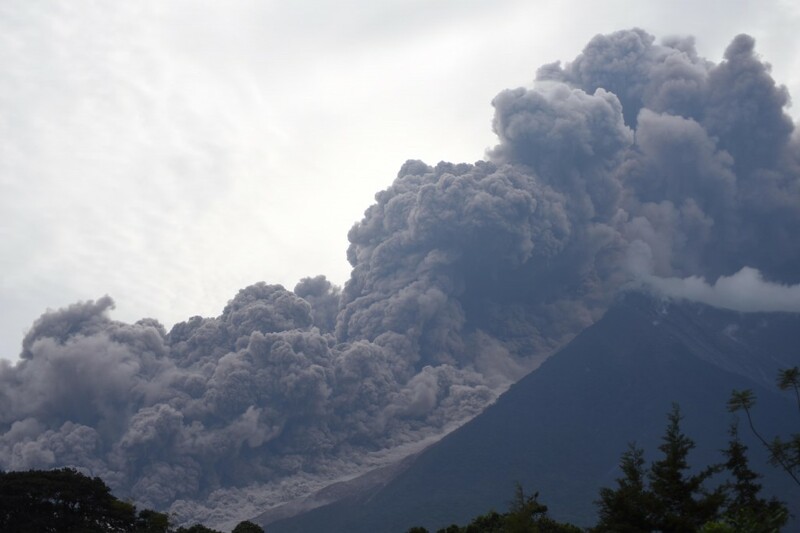 The violent volcanic eruption, which occurred near the city of Antigua, south of Guatemala City, has killed 99 persons and left hundreds wounded and nearly 200 missing. With a second eruption registered on Tuesday, June 5th, authorities are expecting the death toll to climb as rescuers still have not been able to reach to some of the hardest-hit areas due to the severe conditions. The 12,346 feet tall volcano spewed a river of lava and sent plumes of smoke, along with gas and ash nearly six miles up in the air. Fast moving lava flows along with rocks and mud rushed through entire villages, destroyed bridges and left some neighbourhoods inaccessible. According to rescuers, the ground remains so hot in some areas that their boots melt when trying to walk through the debris. The Guatemalan embassy in Belize has stated that over 1.7 million people have been affected, while over three thousand have been evacuated. Meanwhile, nearly two thousand have been placed in shelters where they remain while the government begin their plans for the reconstruction of roads, bridges and their homes. 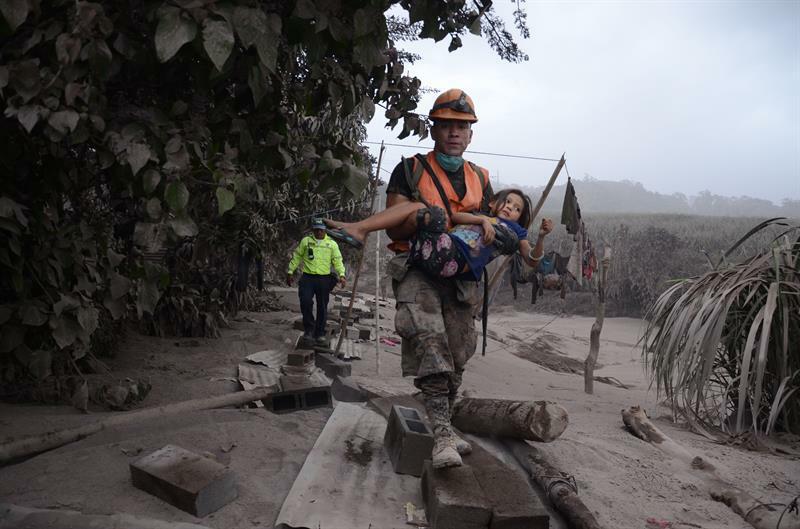 The Fuego Volcano’s eruption is Guatemala’s most violent volcanic activity since 1957.